Russia's President Vladimir Putin (L) shakes hands with India's Prime Minister Narendra Modi during a meeting at the Kremlin in Moscow, Russia. In an exclusive interview with RBTH, leading South Asia expert Petr Topychkanov tries to dispel the myths surrounding Moscow’s recent outreach to Islamabad. After decades of frosty ties, Russia has finally begun to reach out to Pakistan. Economic, political and even defense ties are growing between the two countries that were on opposing camps during the Cold War. The international media has been rife with speculation that Moscow is using its ties with Islamabad as a bargaining tool with its long-standing ally New Delhi. In this interview with RBTH, Petr Topychankov, South Asia expert and Associate in the Carnegie Moscow Center’s Nonproliferation Program, tries to dispel the myths surrounding Moscow’s recent outreach to Islamabad. RBTH: Articles published recently by international publications speculate that Russia-Pakistan relations are on the rise, because Moscow wants to use this as a tool in negotiations with New Delhi. Is there any truth in this? Petr Topychkanov: Russia’s relations with Pakistan are rising, first of all, on the political level. It means that the number of contacts is rising and political relations are much more active than say 15 years ago. There are some significant events in this field. For example, Russia’s full support of Pakistan's membership of the Shanghai Cooperation Organization (SCO). As for defense cooperation, there are some developments as well. The countries signed an agreement on military technical cooperation in 2014. There have not been any arms purchases yet, but talks on four transport helicopters are mostly finished. Then, there were small-scale drills, and this year there will be joint drills in the mountains. The Russian-Pakistani Consultative Group on Strategic Stability is actively working. These meetings are attended by high-level officials from the foreign and defense ministries of both countries. Other than that, there are also some developments in economic cooperation. A Rostech subsidiary has begun constructing a local gas pipeline. Despite the project not being that big, I can call it a big success when compared to the past. Then, Pakistan helped Russia to ensure its food security, when after a self-imposed food embargo against Western countries, Russia needed to find to food suppliers. Pakistan started supplying Russia with agricultural products. RBTH: You mentioned political, defense and economic ties. 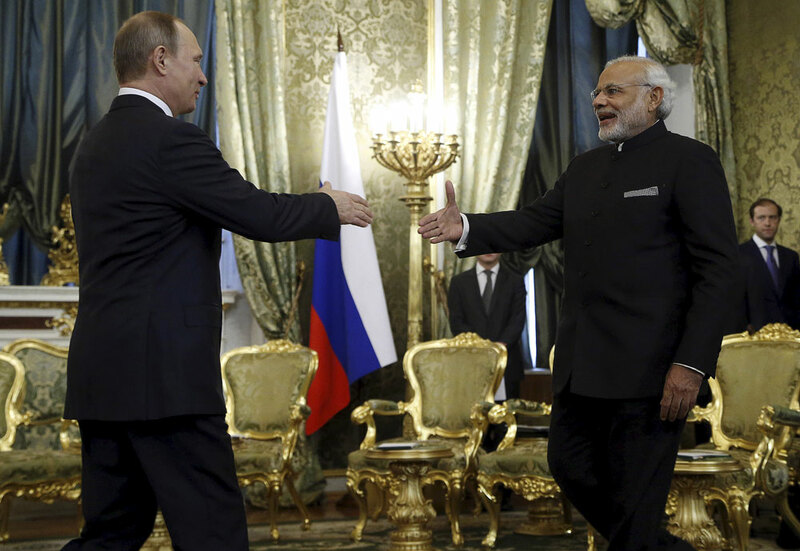 Why is there a shift in Russian policies in South Asia? I totally disagree with the idea, highlighted in a recent article on The Diplomat. The article suggests that the rise of Russia-Pakistan relations is linked to some problems existing between Russia and India. This is a very simplistic logic. It suggests that India looks for partners in the West, and in response Russia switches to Pakistan. This is not true. If people in the Russian establishment shared this kind of logic, Russia's policies in the region would have been very dangerous and most certainly doomed to failure. I would put it in a different way. The underdeveloped relations with Pakistan, as I see it, are a legacy of the Cold War, when Pakistan was an ally of the U.S. In the 1970s and 80s, it supported the military opposition in Afghanistan, which was fighting against Soviet troops who were legally in the country. This situation didn't lead to a conflict between Pakistan and the USSR, but caused a deep distrust between them. But the war is over and Pakistan is no longer an American ally, although there were statements from both sides that Pakistan is a major non-NATO ally in the War on Terror. Such statements are not accurate. Americans did give some aid to Pakistan in recent years, but these amounts didn't make Pakistan dependent on Washington. Pakistan has other close friends, and China is one of them. From this point of view, Russia's slight approach to Pakistan looks logical. Russia and Pakistan have common interests in economy and security. Russia also wants to work with different partners in the region and not be stuck with just one partner. Russia is finally getting a balanced approach towards the region and seems to be elaborating a strategic approach to South Asia. This is logical. Doesn’t this in any way affect Russia’s ties with India? Pakistan cannot replace or even influence Russia’s strategic partnership with India. This is just impossible. Russia's priorities are very clear. I think that no matter how long New Delhi will enjoy its ‘honeymoon’ in relations with Washington, both India and Russia understand that their ties cannot be influenced by any third parties. This first of all concerns military cooperation: building of India's aircraft carriers, submarines and aircraft, and developing its non-nuclear cruise missle BrahMos. Then there is atomic energy. Despite all existing dialogues between India and the U.S. and France, the only successful foreign-built nuclear power project in India was constructed by Russia. That said, India will always play a very special role in Russia's foreign policy and Russia is very much interested in keeping the strategic level of its ties with India. I see no evidence, that Moscow links growing Russia-Pakistan ties with any possible cloud over Russia-India relations. This is something some analysts may want to happen, but I see no evidence. I would say that Russian officials made some attempts to state that India and Pakistan are two independent entities in Russian foreign policy. This was explained, although not very clearly, by Sergei Narishkin in his interview to TASS. RBTH: It is very easy to add fuel to the fire when it concerns India-Pakistan relations. Many in India will suspect the worst even if you say Russia's relations with Pakistan are now natural and not linked to any problems in Russia-India relations. How should Moscow behave to show both sides that there is nothing to be concerned about? First of all, Russia should clearly voice its strategy in the region. This strategy should be crystal clear and officially announced. This has not been done. People responsible for Russia's policies towards India and Pakistan belong to different departments and it's clear that they do not always communicate with each other, or coordinate their actions. Second, Russia's strategy in both countries should be clear not only to politicians and governments, but also to the media and public. It means, that when Russia is planning to sign a military cooperation agreement with Pakistan, it should announce and discuss it in India and explain the reasons behind the decision. And it needs to do the very same thing with Pakistan, when it plans to sell India the S-400 air defense complex, because this is a matter of concern for Pakistan. From the point of view of regional security, all three sides want peace and stability in South Asia. These are very basic, but effective recommendations. Even so, they were not followed by Moscow. In 2014, when Sergey Chemesov, head of Rostech, announced the end of an arms embargo on Pakistan, this was a big and unpleasant surprise for India. The information was not accurate, because there was no embargo in the first place. There were only internal recommendations within Russian authorities, concerning a list of countries where it might not be suitable to sell arms. More than that, the Indian public was not ready for such news. I think the actions and words of all of Russia's decision-makers in the region should be coordinated and not be harmful. RBTH: Will Pakistan and India join the SCO? And do you think it will be a positive step? They will join the SCO, as the decision has already been taken and the finalization only needs time and readiness from India and Pakistan. Of course, India or Pakistan can decide to not join, but I hardly believe either of them would. All formal procedures have already begun. SCO will not try to help India and Pakistan find a solution to the Kashmir problem. SCO is not going to push India and Pakistan towards a solution of their nuclear disputes. This is not a matter of SCO. SCO gives them an international forum to express their positions on international issues and security issues in the region. SCO will also provide them a forum for bilateral discussions, without any interference from third parties. SCO will help build relations between their military forces and intelligence. One of the most successful things that SCO has been doing is defense and anti-terrorism cooperation between members. SCO will also help them to start taking part in joint military drills. All this is very positive both for the region and for Russia's strategy in the region.